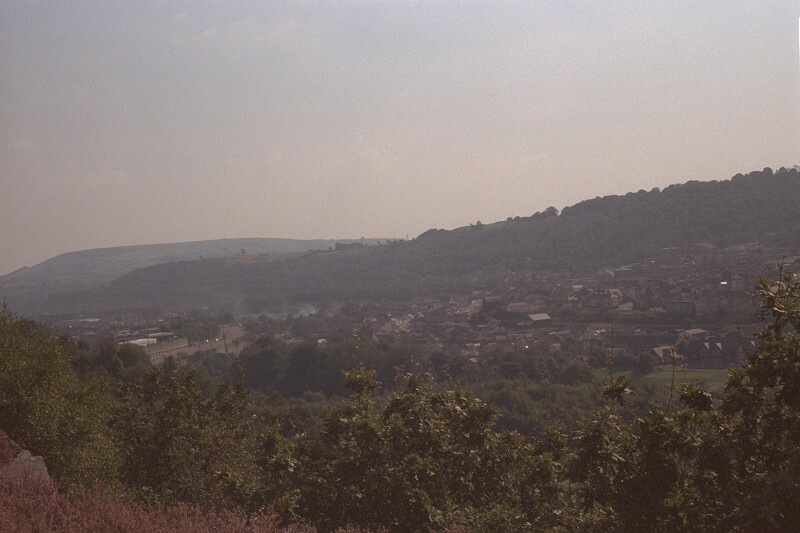 A small collection of photos of Pontypridd, my home town. The following photos were taken sometime in the 1970s. They were not taken by me but are part of a collection of slides that were given to me many years ago. 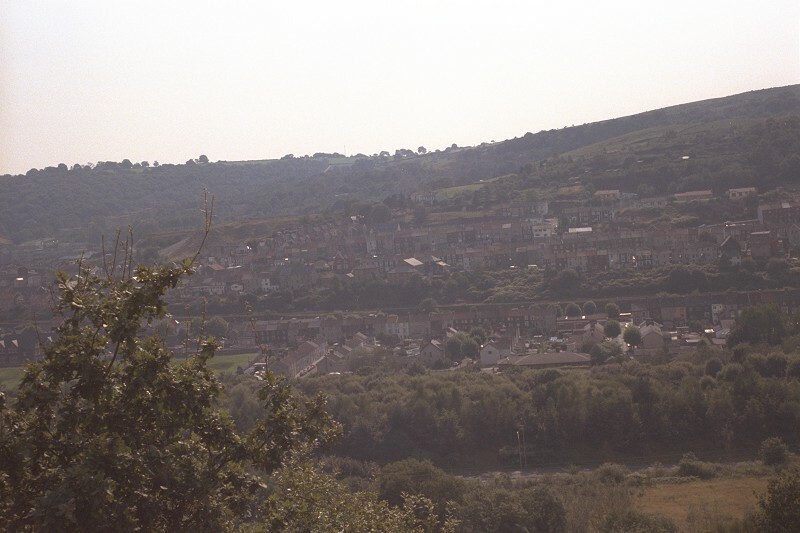 This shows Pwllgwaun and Dan-y-Lan. 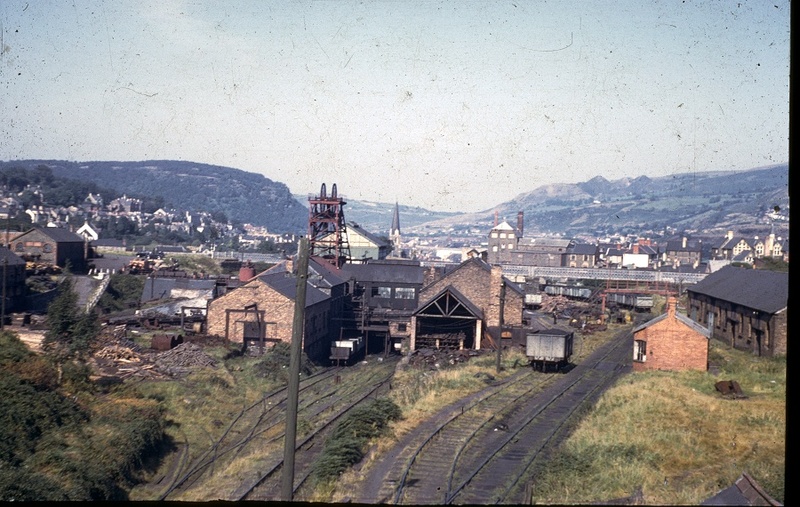 In the foreground a steam loco is shunting wagons. 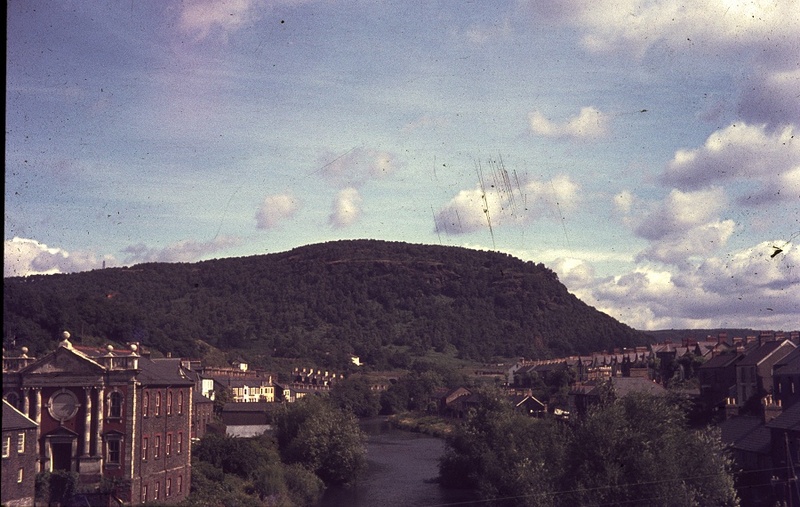 Photo taken from Pantygraigwen Road. Another shot from Pantygraigwen Road, this time looking over towards the Graig. 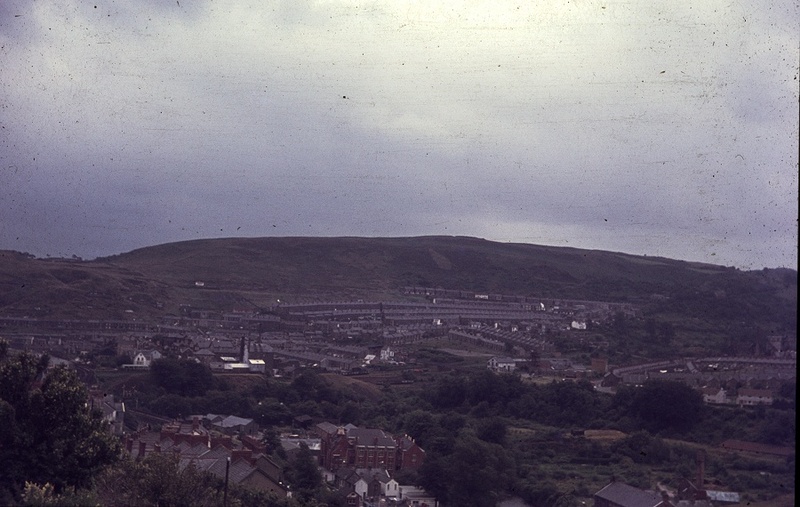 Note the colliery where Sardis Road car park and the Maritime estate now stands. 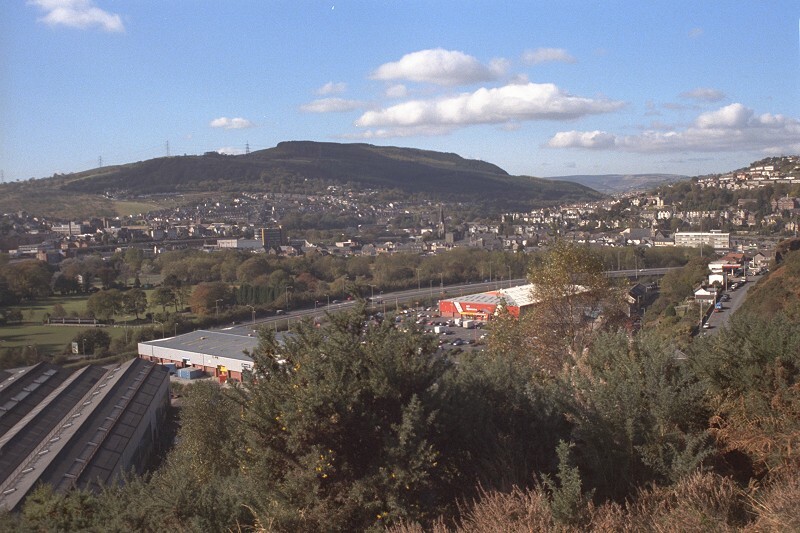 This view is looking over what is now the Maritime Est and Sardis Road car park. 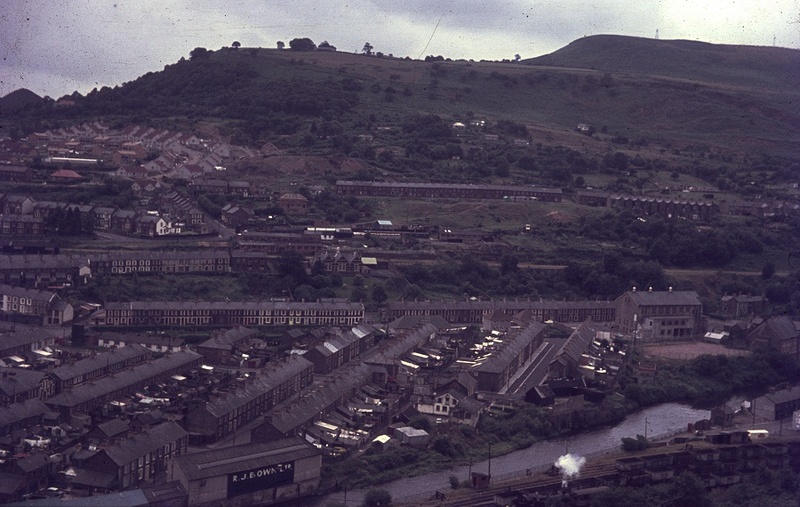 The white bridge in the middle distance carried the Barry Railway line. 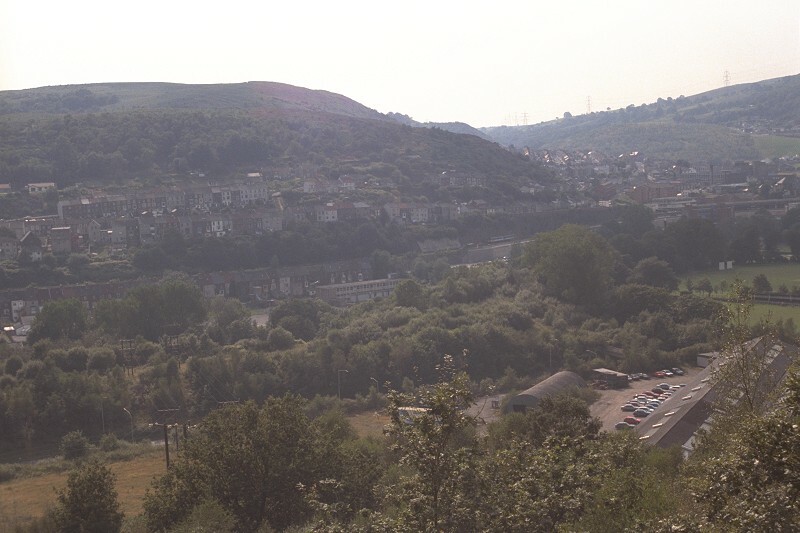 All that remains of this line now is the tunnel through the Graig mountain and part of the station platform in Dewi Sant hospital car park. 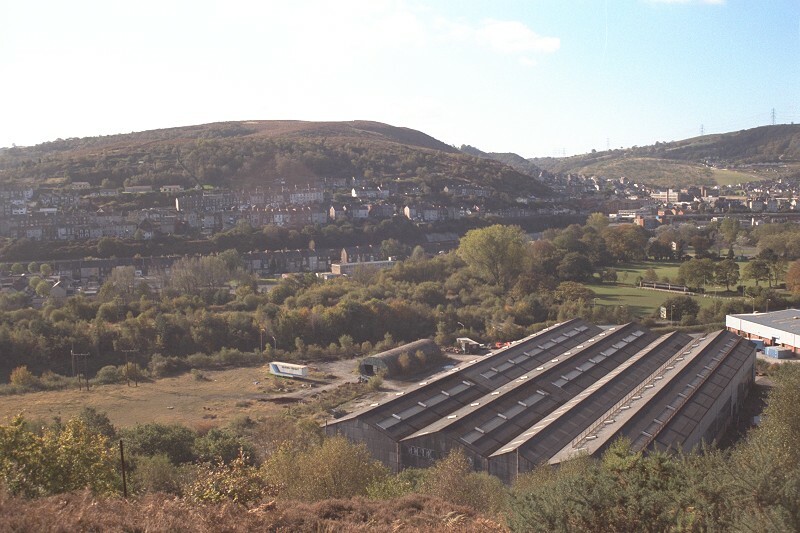 The track bed towards Porth is now a footpath and the old sidings area at Trehafod is now a park with a small lake. 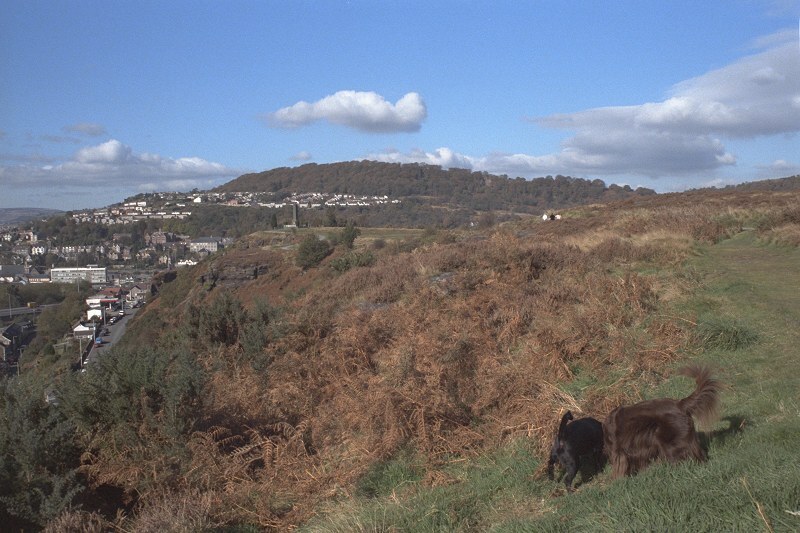 Looking up towards Graigwen. 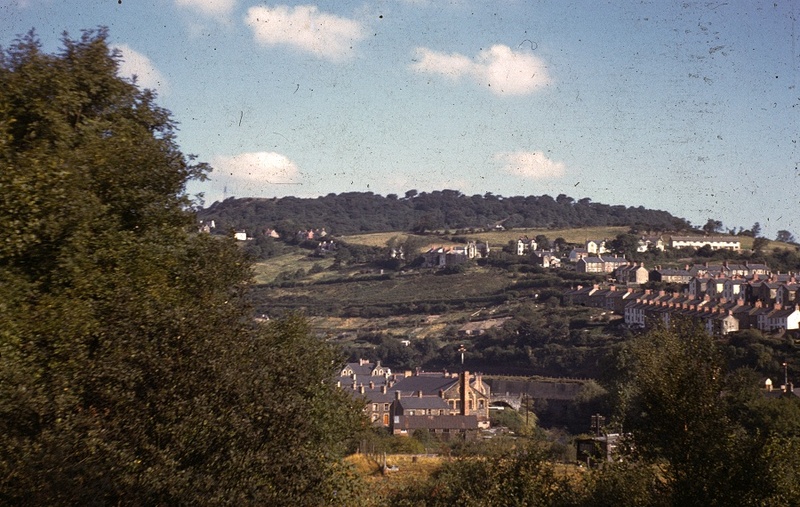 That field at the top is where the Whiterock estate is now. Not a lot has changed in this shot taken from the Old Bridge. The building just behind Eglws Bach chapel has gone. Anyone know what it was?